Here's a cute little card I made for Love My Tapes. I added the washi tape to the top and bottom of the card, and machine stitched right over it. 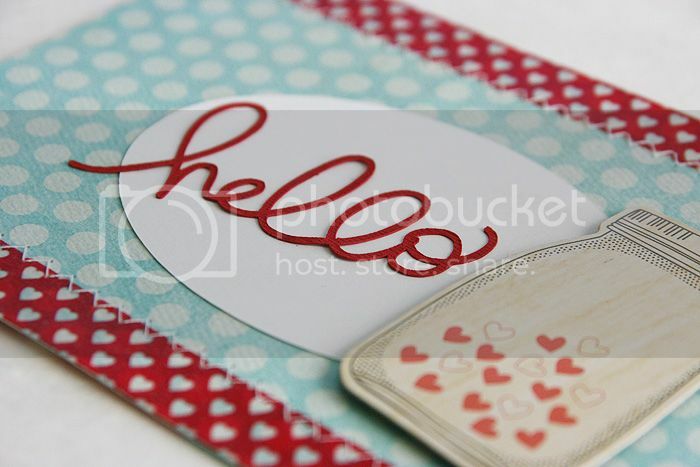 The "hello" was cut with a Silhouette Cameo (how did we ever scrapbook before the Silhouette??) and then I added the sweet little mason jar full of love. A quick and easy little card for days when you have 1 less hour in your day ;) What's up with that anyway? I love having it stay light later in the day, but I'm already looking forward to Fall to get that hour back!!! This is super cute Mary Ann!!! This is great...I have such a hard time cutting something as slim as your hello...even a new blade, a new mat, a not-so-new mat. Tried double cutting. always tears somewhere. So cute Mary Ann!! 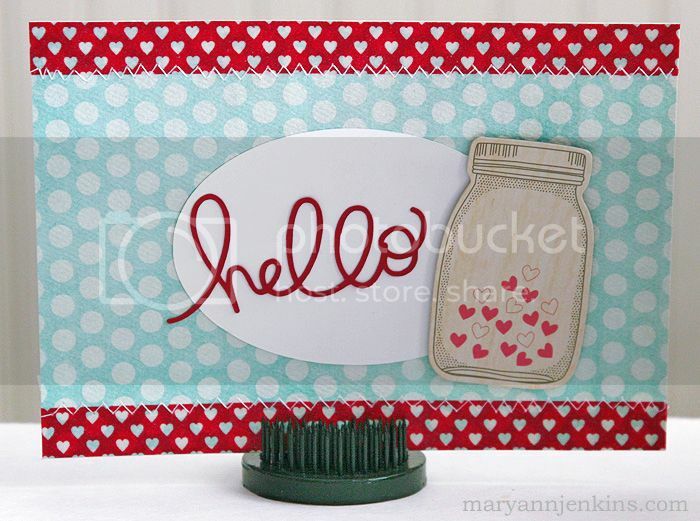 Love the colors and the stitching on your card!